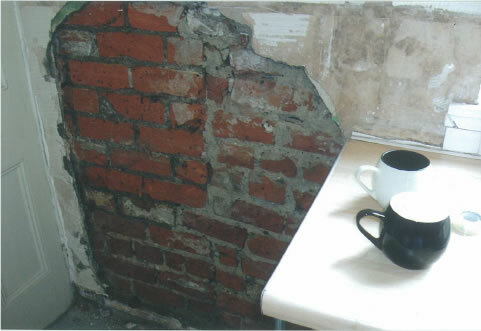 Rising damp is caused by moisture rising up through porous masonry, the origin of the water being from the ground. Ground water contains soluble salts including chloride and nitrates. The height of the rise of the water is governed by a number of factors including the pore structure. is to provide a water repellent or a pore blocking material. The importance of the re-rendering and plastering can not be over emphasized. It must be considered as important as the installation of the damp proof course. 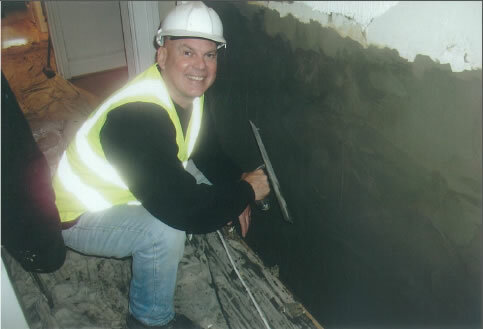 It is also a wise decision to employ the company installing the damp course to also undertake the associated rendering and plastering. On completion of the work the golden rule is to delay the decorating for as long as possible, to allow for the drying out process. If you have a problem with rising damp, let Storm damp proofing give you a free estimate on repairing the damage. We service the whole of the South Wales area including Aberdare, Abergavenny, Barry, Bridgend, Blackwood, Bargoed, Caerphilly, Cwmbran, Clydach, Cardiff , Ebbw Vale, Llantwit Major, Maesteg, Mountain Ash, Merthyr Tydfil, Newport, Nelson, Neath, Port Talbot, Porthcawl, Pyle, Penarth, Pontypridd, Pontypool, Risca and Swansea.